The Venice of the North | Life in Paris with a limited wardrobe. I know that I have spent too long in France when I am shocked at a whole group of truly friendly people, like the Dutch. The Finn and I had a lovely G-rated time in Amsterdam. We took a ferry to the film museum to get a coffee outside on their beautiful modern building’s deck but the location was so gorgeous that we stayed for brunch! 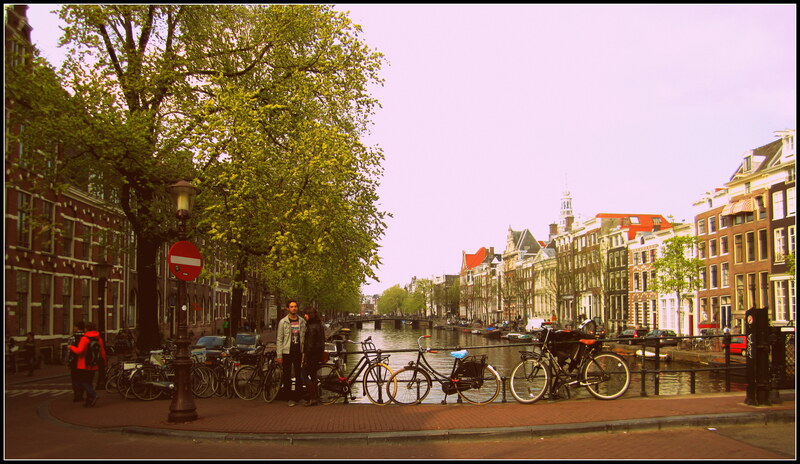 It’s chic, has a great view of Amsterdam and the coffee and food is superb. I love the Dutch renaissance architecture with the crow-stepped gable façade mixed with the über modern buildings as well (even if the buildings are crocked). It was a nice change from the 19th century Haussmann Parisian buildings. I highly suggest the Eye; which is the perfect way to either start or finish off your day in Amsterdam.